It's Big - It's Wild - It's Western! 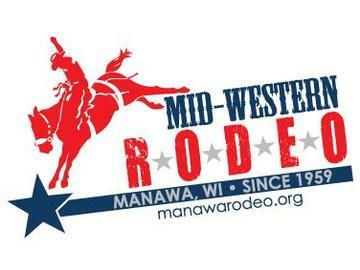 Come and join us for another phenomenal year at the Manawa Mid-Western PRCA Rodeo! Selected Great Lakes Circuit Medium Rodeo of the Year in 2007, 2008, 2009, 2010, 2012, 2013, 2014 and 2015! Online prices are discounted from the gate price, so buy online, buy early, and SAVE! This page is where you can purchase General Admission tickets only. To purchase tickets in the Reserved Seating section, please use the following URL: mwrodeo.ticketleap.com/2019-reserved/ and follow the instructions to select your seats. Childeren age 2 and under are free and will not need a ticket. Please select from the dates above, and then select your tickets. No Refunds or Exchanges. No Carry-Ins. Event is held rain or Shine. No Smoking in Bleachers.